The Tour jersey uses DryPro fabric to maximize the transmission of moisture from the skin to the outer surface of the fabric by integrating the comfort of cotton and quick-dry performance of polyester. 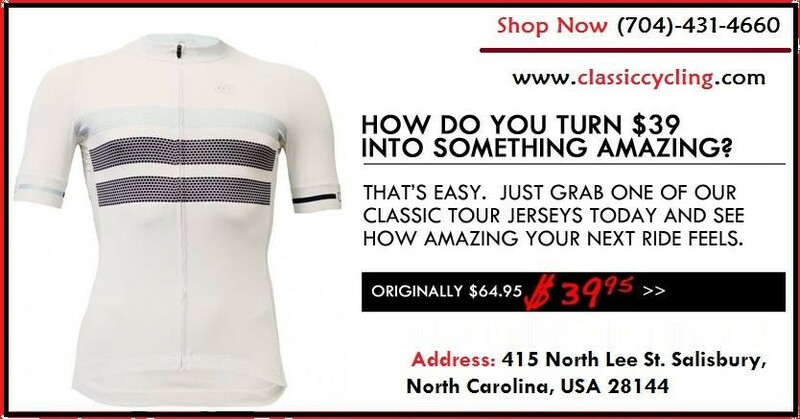 This jersey is designed with an anatomic fit that will hug the body. To help with aerodynamics we have used Lycra for the arms of the jersey giving them a soft, comfortable, skin tight feel amd completed them with a 2 inch band at the cuff. The tetra channel structure of the fiber repels the moisture more quickly and keeps the body dry and comfortable. By integrating the comfort of cotton and quick drying performance of polyester, it can absorb sweat from the skin and quickly and transport it to the outer of textile to evaporate. When the zipper pull is in the down position it is locked. When pushed up in the 12 O’clock position you can quickly unzip the garment.